What are the different types of fire pits? There are four unique kinds of fire pits available today, this includes natural gas, gel fuel, propane and wood burning fire pits. Each has their own set of advantages and disadvantages listed below. Here’s a more in-depth look at which one to get for your home. Natural gas is a viable choice if there’s a possibility that you can have a gas line installed in your backyard. 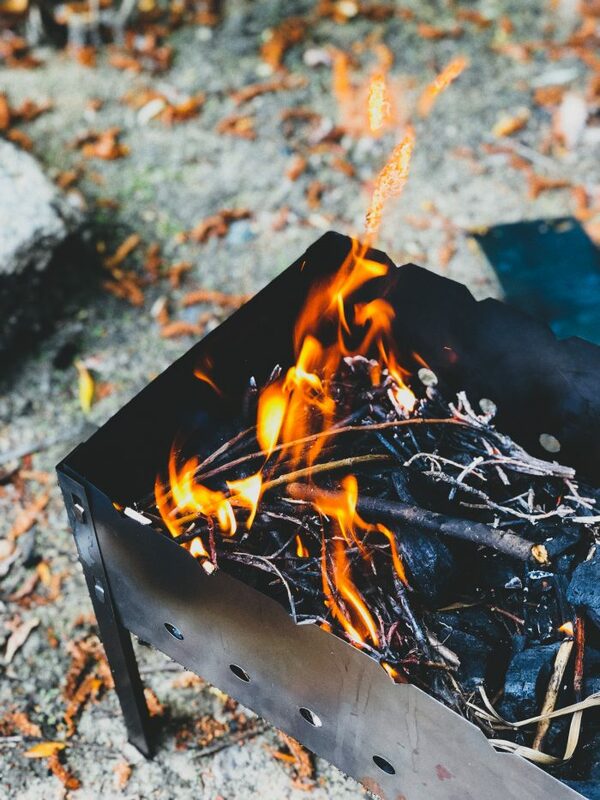 This permanent fire pit’s greatest advantage is that you won’t ever run out of fuel, and therefore won’t have to worry or be inconvenienced. Moreover, it’s cheaper to operate than other fire pit types so you can barbecue and grill all you want. Natural gas does have its disadvantages, mainly the installation costs and being a permanent fixture. You will have to carefully consider where to position it because once it’s installed you won’t be able to move it again. Design is largely restricted to tabletop, round, square or sunken. Gel fuel is an excellent fire pit proponent as it burns without producing smoke or a bad smell. Generally, this fire pit is mobile and can be moved anywhere you wish. In terms of ambiance, gel pits are top-notch in that they give off heat and beautiful flames without ash and smoke getting in your clothes. On the other hand, gel doesn’t produce as much heat as other fuel types, and they can be pretty hard to find. Owners of gel fuel fire pits must search for fuel on specialized stores or on the internet if they want to use it. You can opt for gel fueled logs to recreate the aesthetic beauty of burning wood or get the tabletop variety for ultimate portability. Propane pits are grand fixtures that can dominate the backyard or patio. This type of pit produces beautiful flames for entertainment or cooking purposes. Moreover, you can choose from several materials, including rock pebbles, faux wood and even glass. You can customize your fire pit for sophistication, portability or convenience. Propane as a material can be expensive and can run out while you’re in the midst of an event or while entertaining guests. Cooked food over propane fire has less depth than wood or charcoal. A Classic staple that recreates the atmosphere of a campfire, right down to the smoke, the flame and the crackle of burning logs. Several wood type pits are available, from brick or stone to outdoor or even a grill. Maintaining your wood fire pit is one of its disadvantages. You must get a constant supply of wood and have a cool and dry place to store it. Cleaning the fire pit to maintain an aesthetic appeal is a must-have, too. You should now know the types of fire pits you can install in your patio. Wood burning, propane, gas fuel and natural gas are all great options. Make sure to weigh the pros and cons before you decide which fire pit to get.